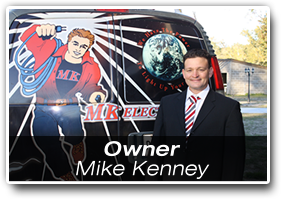 At MK Electric Man, your trusted Slidell electrician strives to please our customers doing so we only keep chosen employees who are proven to be consistent, in cleanliness, friendly, helpful, trained to look out for the best interest of the customer. 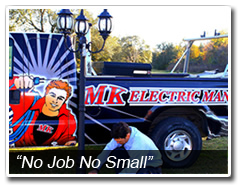 MK Electric Man has the most honest, friendliest, and dependable electricians in the Slidell area that will be around for generations to come. Laying hold of the newest technologies in the industry and warranties that surpass the competitors, we believe that a good name is better than gold. We enjoy building long term relationships with our customers throughout all of Saint Tammany Parish. We're dedicated to providing you with the best service possible, at great rates, to your complete satisfaction. 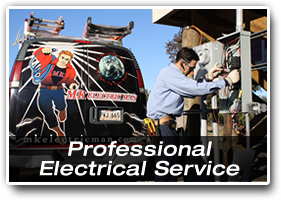 All of our work is performed by experienced electricians and is complete to the highest code standards. 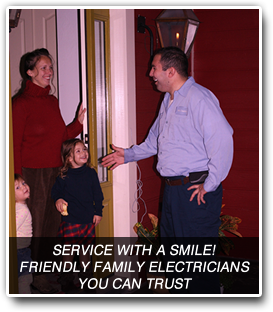 We have over 14 years of experience providing superior electrical services to our neighbors in New Orleans. Outstanding Customer Service – From emergency troubleshooting, to designing and installing complete electrical systems, offering a team of dedicated and experienced electricians and designers. BEST WARRANTIES by electricians – We have been backing up our work year after year. 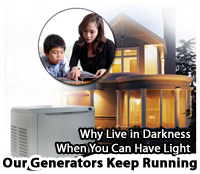 We are THE BEST at what we do, which is provide you with on time, impeccable, electrical repairs & Installations. Satisfaction Guaranteed! – We are professional electricians, not salespeople. Our business success depends on the satisfaction and referrals of our customers. Your satisfaction is our guarantee! If you're looking for a professional electrician in Slidell, then please give us a call today at 985-882-4001 or complete our online request form.